What Does Hebrews 6:18 Mean? They found it hard to break free from the nation's historic roots in Judaism, which were bound by the old, broken covenant, the sacrifice of animals for the temporary atonement of sin.. and continuous condemnation from the Mosaic Law-of-death.. into the recently birthed freedom of Christianity. They had to come to terms with the truth that Christ fulfilled the promise of God given to Abraham, and that due to faith in Christ's death, burial and resurrection they were now ministers of a new and better covenant. They also had to accept that under the new covenant there was neither Jew nor Gentile - for we are one Body of believers in Christ. They had to break free of the restrictive rites, rituals and religiosity that enslaved them under the Law and they had to embrace the law-of-the-Spirit-of-Life in Christ Jesus. However, this was hard for those early Jewish Christians, who wanted to be sure that Jesus - the incarnate Word of God, was the Truth, the whole Truth and nothing but the Truth. Hebrews, of course, is also written to every Church-age believer, and is as relevant today, as it was when it was first written. Indeed, it contains valuable information and important instructions on living the Christian life and growing in spiritual stature, to the glory of God. It also is a book that lays great emphasis on faith.. faith in the inerrant Word of God - trust in the truth of His Word - and assurance that the things that God has promised are 'yes' and 'amen', in Christ. Without faith in His Word, it is impossible to please God. But the Word of God is simply that - it is God's unchanging, unbreakable, authoritative, honourable oath to His people. The Bible is God's pledge of assurance, that whatever He has spoken through the Scriptures - both old and new, is trustworthy, and will certainly take place. Some, sadly, do not believe God's Word. But unbelief in His Word does not nullify the truth.. and for those early Jewish believers, as well as for the rest of us.. God graciously used prophecy to authenticate His revealed Word. He also swore by Himself as to the veracity of holy Scripture. When we make an oath in a court of law we place our hand on the Bible, as a guarantee that all we speak will be the truth, the whole truth and nothing but the truth. This oath puts an end to all argument, because there is nothing greater than the Scriptures, by which we must be judged. Because God has nothing greater than Himself upon which to swear, He swore by Himself - and God's Word, is founded on the unchanging truth of His Name and the veracity of His righteous Nature. 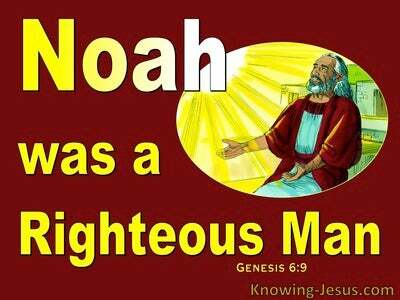 God is Holy.. and a holy God cannot lie.. nor can a God of righteousness contradict His holy Word. God's Word is indeed true, and can most certainly be trusted. But for the benefit of those early Jewish converts as well as for all who have been saved by grace through faith -God used a promise, that He made to Abraham, as a second witness to the trustworthiness of His Word. The Lord promised Abraham - that through his Seed, the whole world would be blessed. This promise was fulfilled some 2000 years later, when the promised Seed, the Lord Jesus Christ, was born into the human race, to become the sacrifice for sin. 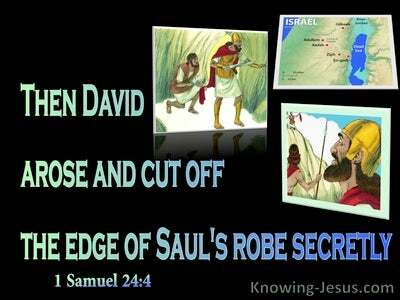 He was sent by the Father to be the Jewish Messiah and the Saviour of mankind. 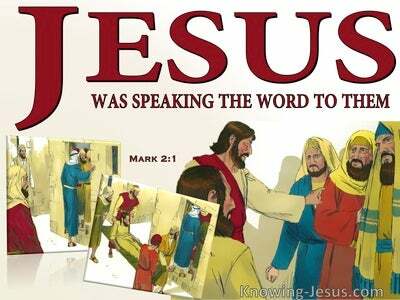 He was God incarnate.. the Word made flesh, as recorded in holy Writ. 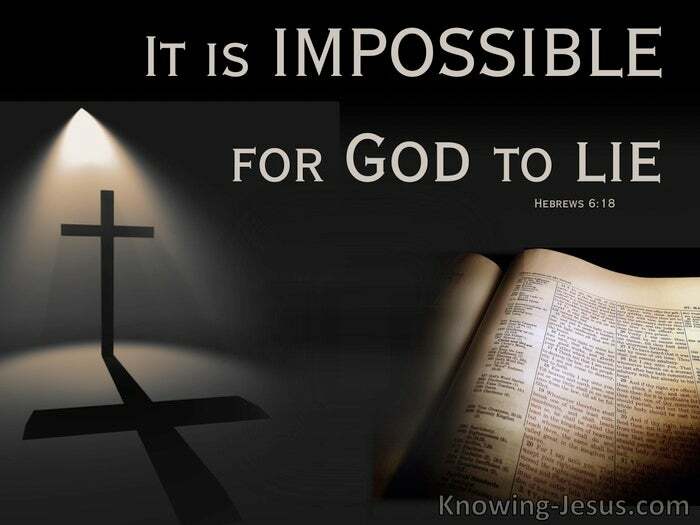 God's Word and the promises it contains are guaranteed to be true, and all who seek to place Church-age believes back under the Law would do well to study the book of Hebrews, and take God at His Word - for God has sworn by two unchangeable things, in which it is impossible for Him to lie. He promised that we.. who have taken refuge in Christ, have strong encouragement to take hold of the hope that is set before us. For by faith in God's WORD, we understand that the worlds were prepared by the Word of God - so that what is seen.. was not made out of things which are visible. God's Word and the promises it contains are guaranteed, by an oath of God, to be true - and those that seek to discredit the Scriptures. through a watered-down gospel, for political correctness, to pander the pride of sinful man or for any other reason - discredit our great Creator and blaspheme His holy name. 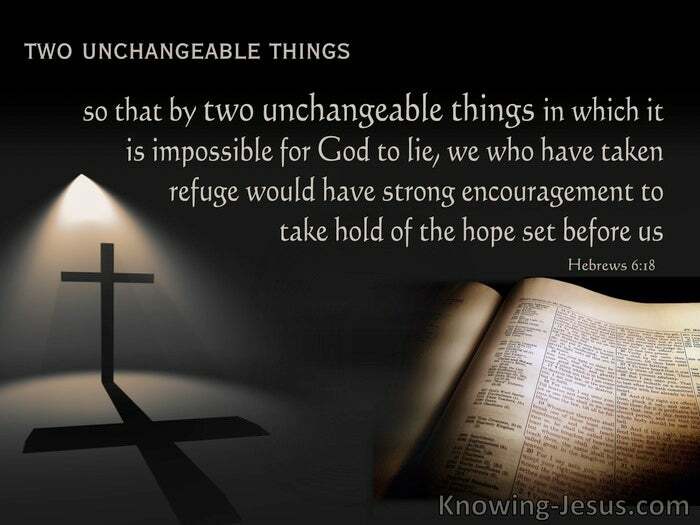 Heavenly Father, thank You for Your unchangeable Word, in which it is impossible for You to lie. 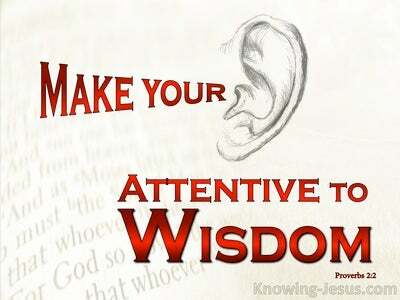 Thank You for the truth of the Scriptures.. thank You for the great encouragement and hope that we have in Christ. Increase my faith, I pray, and may I live to Your praise and glory, in Jesus name, AMEN.